OrangeCone - Connect to the places you live, work, play, and travel. and connects users directly to the Public Space Managers in Governments and Public Institutions. Communicate your needs for free! and awareness of what is affecting your metro area and neighborhood. One mobile app for every public space, anywhere! Start a conversation with your government, public sector leaders, and your fellow Citizens. The easiest way to have a voice. 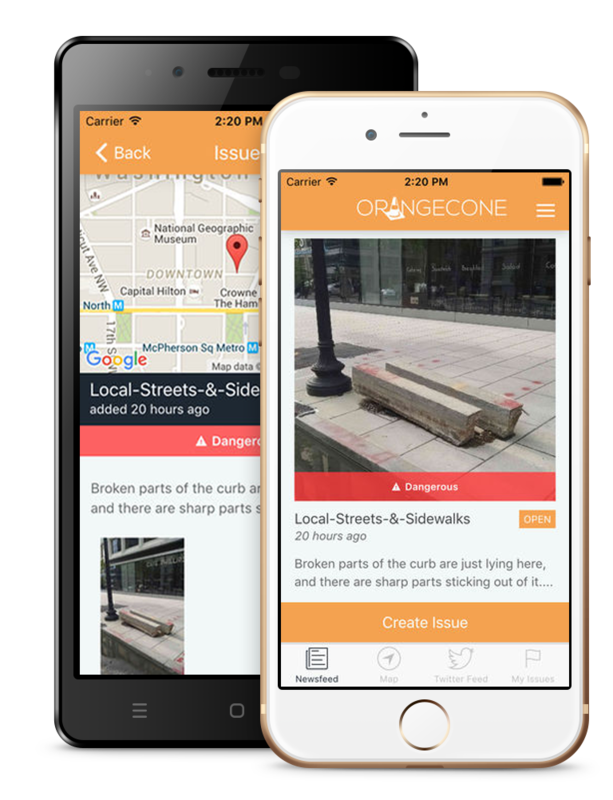 Use OrangeCone to report issues that affect your experience in every public space, such as your local park, street, metro station, or airport. Receive real-time updates and notices from your government and public managers. View reported issues and real-time news from Public Space Managers where you live, work, play, and travel. OrangeCone gives you a voice about every public space, and awareness of what is affecting your metro area and neighborhood. can connect and engage with users in a real-time conversation. Easily deploy OrangeCone in your community, using the step-by-step interface to subscribe, announce your launch, connect Social Media accounts, and start the conversation. OrangeCone allows Public Space Managers to receive information from individual Citizens and to respond to them individually, as well as to send information collectively to everyone in your area. A picture is required for each Issue Report and each picture is Geo-tagged with GPS location, vastly reducing confusion about reported public space issues. OrangeCone provides Public Space Managers with market-leading, high ease-of-use Issue Management software for Issue Report management. 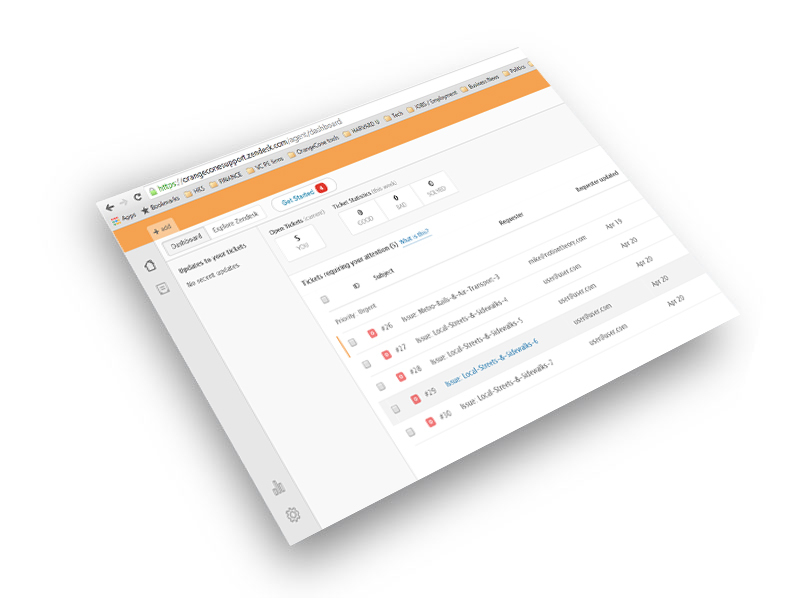 manage reported issues, and collect structured data. Start a conversation in your community as a Government or Public official by becoming an OrangeCone Research Partner for free. A 60-day free trial combined with the largest ever permanent subscription discount offered will allow you to start the conversation in your community, and allow you to influence the future design of OrangeCone to your needs.